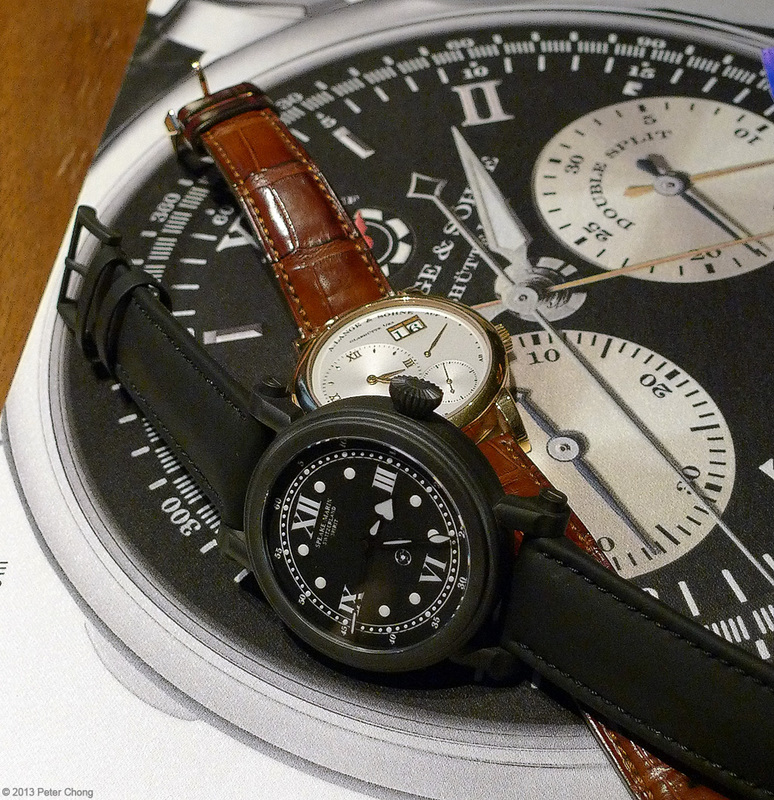 Watchscapes: High Resolution Photography by Peter Chong: Peter Speake-Marin...and friends. Good friends. 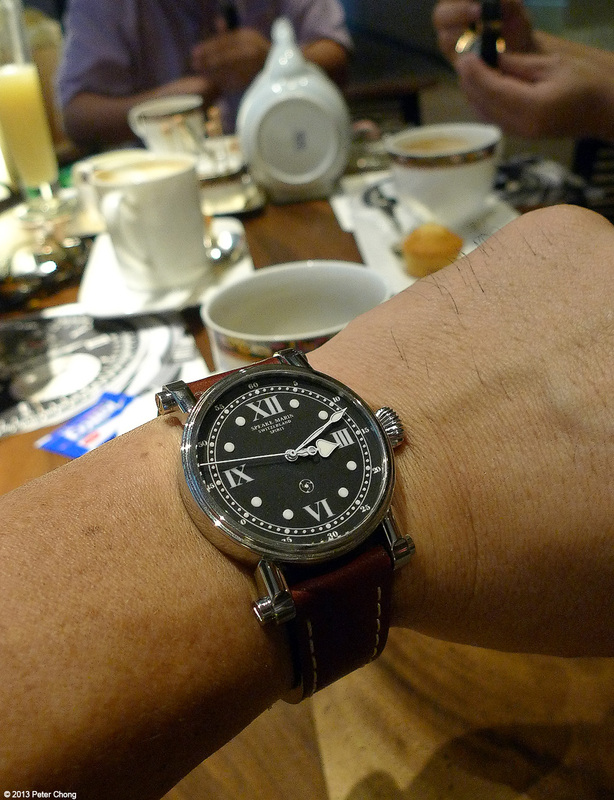 Peter Speake-Marin...and friends. Good friends. An afternoon spent with good friends is always a good afternoon. One fine Saturday afternoon, a group of friends dropped in at a local hotel and met up with a group of Peter Speake-Marin Spirits. 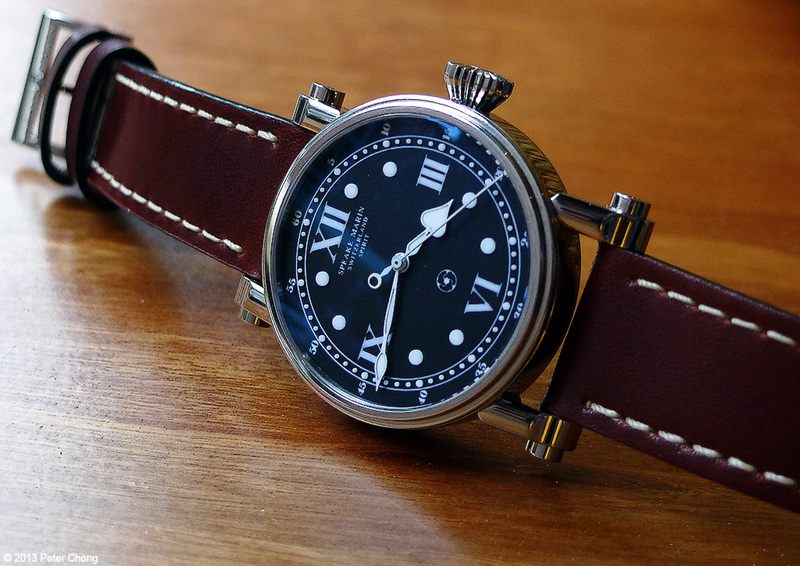 The Spirit II by Peter Speake-Marin, aestetically very well balanced in its form and shape. Though not everyman's taste, as the case sides are can-like and rather thick, but there is a quiet confidence to the design. Unassuming, but yet elegant but rugged at the same time. Rather versatile. So very English, so very like Peter himself, though the watches are designed and constructed in collaboration with Technotime in Switzerland. 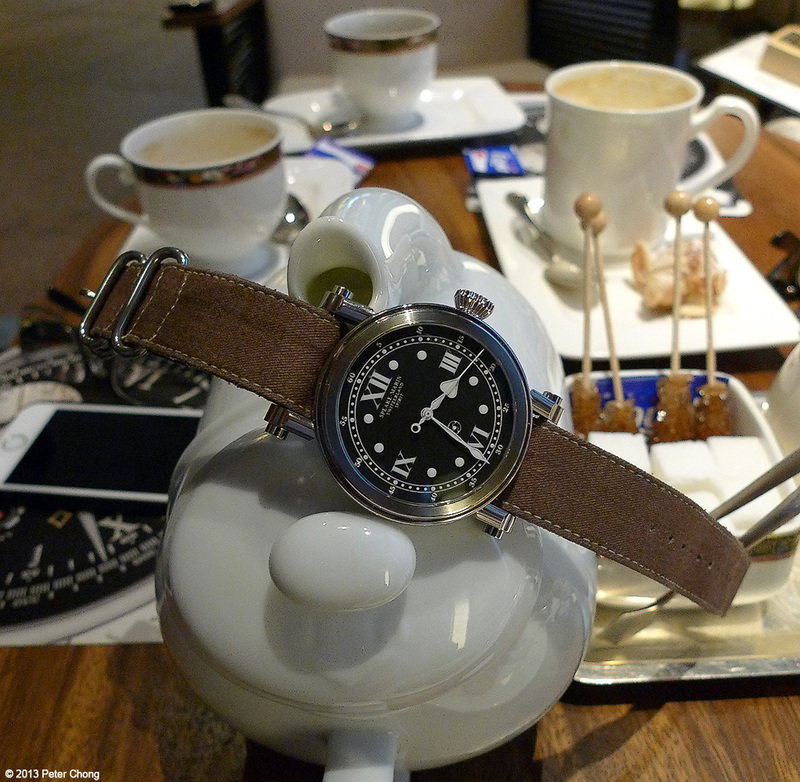 In typical English fashion, tea is served...the Spirit II adorned with a NATO strap...very nice, and rather apt. 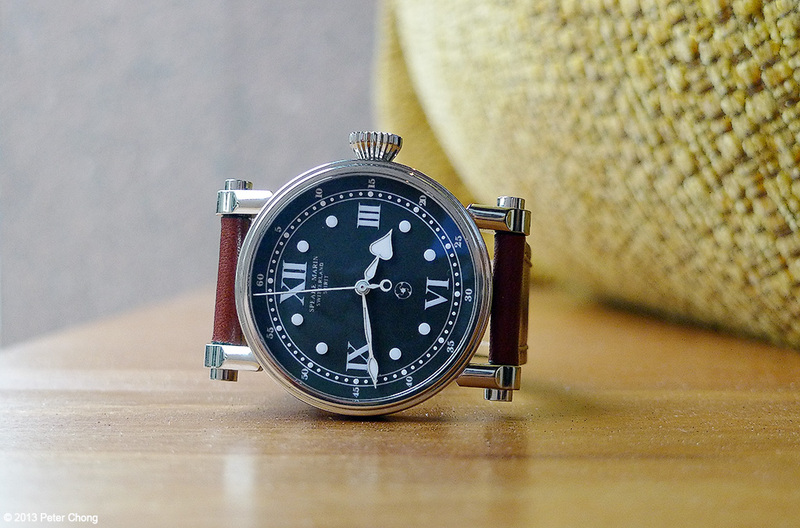 IWC: vintage Ingenieur, such a beautiful watch.